Thread: How do you like your steak? I recently (as in February) resumed eating beef after abstaining for 10yrs. Anyways I don't eat red meat often but when I do have a steak, I like it medium well. medium rare, just brown on the outside and pink in the inside. waiting for allyuh to do one on something i actually eat. +1 ...When I go out to eat I always take a small bottle of pepper sauce....don't judge me!! learning to eat it medium well. 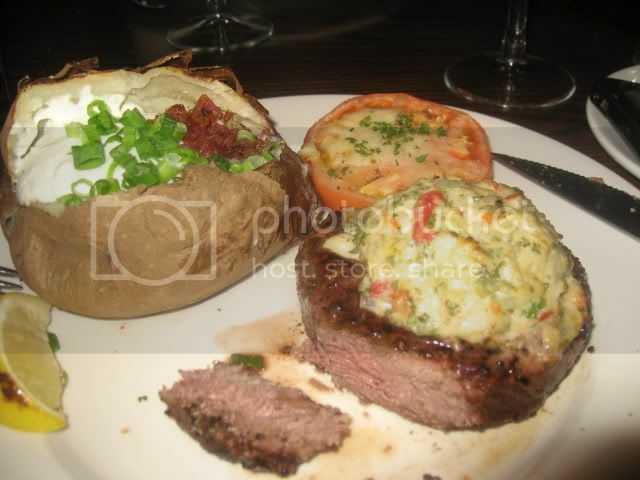 Had steak with a lobster crust on Sunday night The Keg...yummy! I don´t eat beef, I cannot even remember what steak tastes like. For all you oman that don't eat beef yuh better start. de fastest way to getting old is no red meat. if yuh doubt me ask yuh doctor.